Neon disco and yoga? ’nuff said. 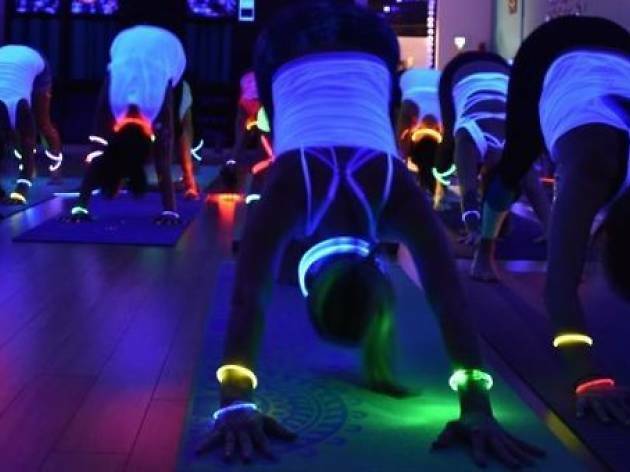 Hong Kong’s popular indoor neon playground is transforming their venue into a yoga studio for an exciting disco yoga party. Get ready to put on neon face paint, glow-in-the-dark bracelet and stretch and move to electrifying beats. Join the latest fitness craze and the party is guaranteed to be a memorable night. Remember to bring your own yoga mat or rent one for $40.